Welcome to Team Bath Buccaneers ! Great Hockey, Great Facilities, Great Fun! Team Bath Buccaneers is one of the largest and most successful Hockey Clubs in the West of England with over 800 members. Our Men's and Ladies 1st XIs play in the National Leagues, the Men are also National Indoor ‘Super 6s’ runners up. We have a further 7 Mens, 4 Ladies and 19 Junior teams plus thriving Masters, Summer and Indoor sections. With an enthusiastic network of parents and supporters, this is a club for everyone. 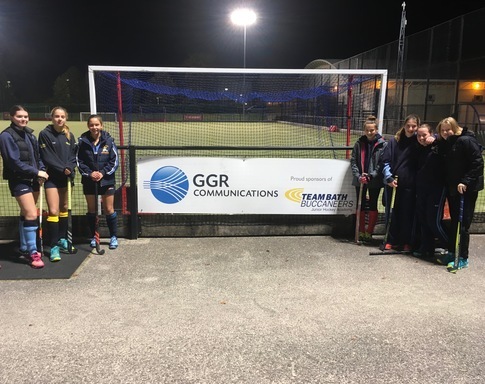 The Club's motto Fast, Fearless, Fun reflects the way we like to play the game and, with high quality facilities at the University of Bath Sports Training Village and a backdrop of the World Heritage City of Bath, this is a great place to play hockey! So if you're interested in joining us we'd love to hear from you (click 'Contact us' above) and offer you a warm welcome to our Club.